The Portuguese built the fortress Nossa Senhora dos Milagres in 1560. 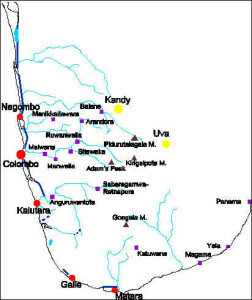 Jaffna was the last place in Portuguese hands in Ceylon. They lost it in 1658. 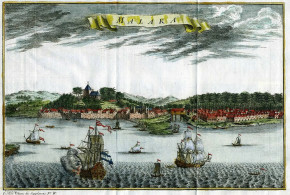 The Dutch strengthened the fort around 1680. 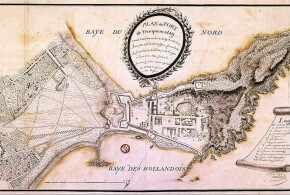 The old Dutch fort of considerable size with its ramparts, bastions and gateways was still in a good state of preservation before the civil war. It was the Governor’s residence. The Dutch church (Kruyskerk or Groote Kerk) dates from 1706. Inside there were beautiful tombstones. 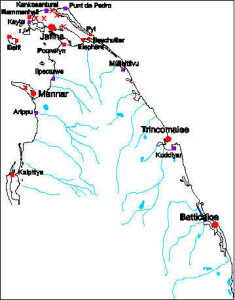 On the Jaffna peninsula there are (or better there were *) the remains of several Portuguese Jesuit churches in Chankanai (1641), Atchuveli, Myliddi, Vaddukoddai. A Dutch church is (was?) at Chundikuli. 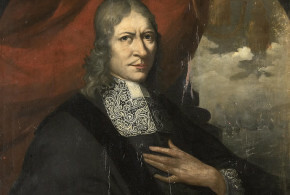 * I don’t know the actual situation of the Dutch and Portuguese remains in Northern Sri Lanka. If somebody has photos or information on the actual situation. I shall be happy to receive them for publication. 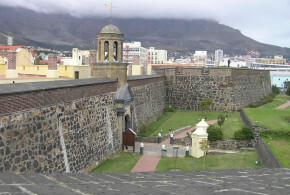 The fort was built by the Portuguese in 1560 and they surrendered it to the Dutch on 22 February 1658. The fort was rebuilt by them in 1686. On 5 October 1795 the Dutch surrendered it to the British. The fort has four bastions and it is still in good condition. In the village of Karisal (13 Km west of Mannar) there are the remains of the walls of a Portuguese church. The Portuguese were the first to build a fort here, they in 1623 destroyed an ancient Hindu temple and at its place built a fort. This fort was taken by the Dutch on 2 May 1639. The Dutch strengthened this fort in 1658 and called it Fort Pagoda (today fort Frederick). This fort is still in good preservation. 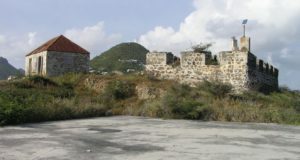 At the beginning of XVIII century Fort Oostenburg was built on a hill East of the entrance to the inner bay. Later a battery was erected on the island “Dwars in de Weg”, too. A few ruins of this fort still remain. 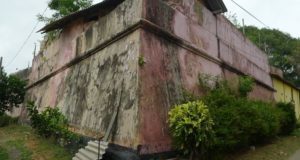 In the village of Nilaveli (north of Trincomalee) an old Dutch two-storied building is to be found, of which the roof has crumbled. This fort was built by the Portuguese in 1628 and was the first to be captured by the Dutch (18 May 1638). It is the most picturesque one among the small Dutch forts of Sri Lanka. It is situated on an island and is still in good condition. Near Batticaloa the Portuguese had a tiny fort at Tanavare (a map of it exists). No remains. 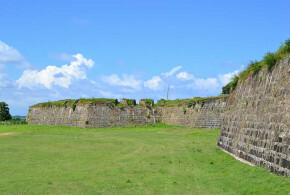 A five-bastion Dutch fort was built in 1667. It is still in good state of preservation. Inside the fort there are the remains of an old Portuguese Jesuit church. A small fort built by the Portuguese in proximity of the pearl-banks. It was taken by the Dutch after the fall of Mannar. No remains ? 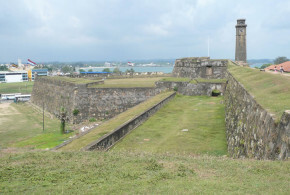 This fort was built by the Dutch in 1715 and was originally a small wooden structure. In 1721 a quadrangular fort of earth-work was erected. The English rebuilt it. No remains ? Here the Dutch had a small out-post in the first years; this out-post was fortified in 1658. No remains ? The Portuguese called this island Ilha das Vacas. They had a fort here. 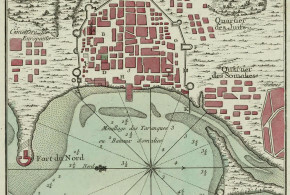 There are two ruined forts in this island: That on the eastern sea shore is the Portuguese small fort or “tranqueria” with only two ruined walls still existing. The other fort was probably built in more ancient times. I don’t know the actual situation of this fort. 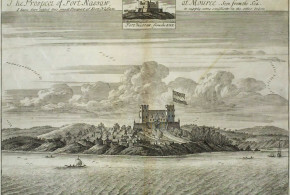 A Portuguese fort with four circular bastions. It was taken by the Dutch. They made no attempt to restore it. Remains (at Velani)?. This fort stands on a tiny island at the entrance to the Jaffna lagoon. Here the Portuguese built a fort called Fortaleza do Cais dos Elefantes. 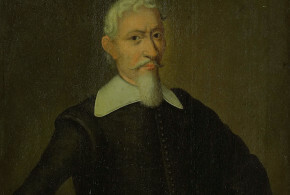 In March 1658 it was taken by the Dutch. The fort has only one entrance and was garrisoned by 30 men. It is still in good condition (?). 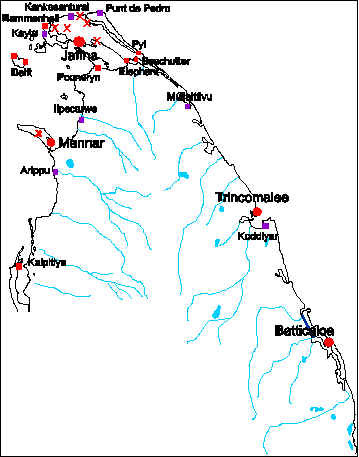 Here the Dutch originally intended to establish the capital of the Jaffna commandment. Here they began to build a fort, but later they changed their mind. No remains. Small fort built originally by the Portuguese, rebuilt by the Dutch. No remains. 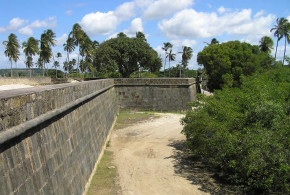 This fort is situated South of the Jaffna lagoon. A quadrangular fort with two bastions, probably built originally by the Portuguese. It is fairly well-preserved (?). 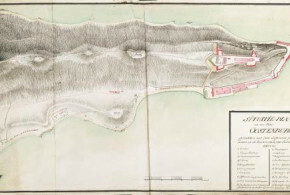 A Dutch fort north of Mannar. No remains. 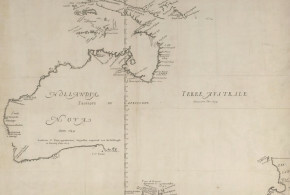 Fort Pyl plan: A strategic Dutch fort. Only a raised rampart is left over (?). 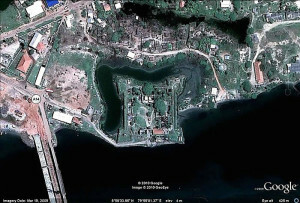 A strategic fort built by the Dutch near the village of Koyilvayal. This little fort is in very bad condition. 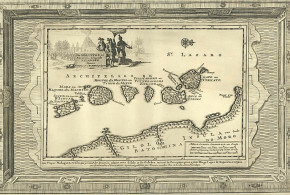 A strategic Dutch fort: It is the best preserved of the three small forts on the northern shore of the lagoon on the Jaffna peninsula. I don’t know the actual situation of this fort. Colombo was the capital of Portuguese Ceylon and here the Portuguese built several churches ( São Francisco, São Paulo, São Domingo, São Lourenço, Capuchinhos, Sé Catedral/Igreja Matriz etc. ), many houses, a hospital, a Santa Casa da Mesericórdia, many convents, a customs-house (Alfândega) etc.. The old Portuguese town was encircled by walls and bastions. The first fort (called Santa Barbara) was built in 1518 but in 1524 it was abandoned. 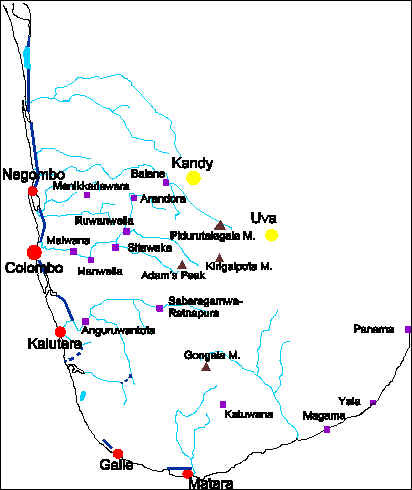 In 1554 a new fort was built and the city of Colombo developed. The Portuguese town was destroyed by the Dutch during the siege in 1655-56. Of the Portuguese churches only that of São Francisco survived and was used by the Dutch as a Dutch Reformed Church until 1749, when it was demolished. 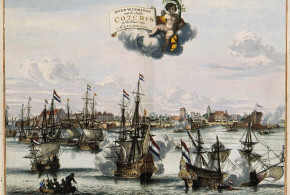 The Dutch rebuilt Colombo and strengthened its bastions. 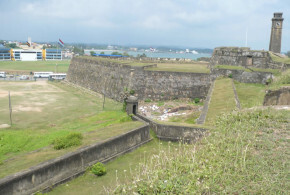 In 1870 the Dutch fort of Colombo was demolished by the British. 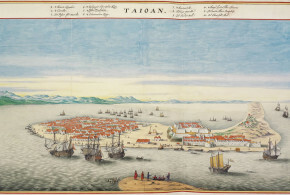 The old Portuguese and the Dutch fort disappeared. Only the wall of a bastion remains. 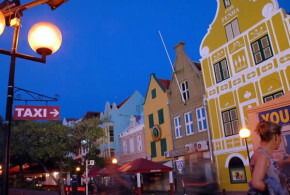 The best example of a Dutch house in Colombo is the building of the Dutch period museum that was built in the latter part of the 17th century. Outside the fort there was and there is the Wolfendahl church; it’s a massive cruciform building, built by the Dutch in 1749, on the site of the Portuguese church of “Água de Lupo”. It is the most interesting of the few remains in Colombo of the Dutch period. 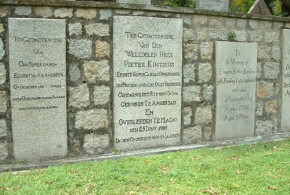 Several tombstones of the Dutch Governors (Hertenberg, Vreelandt, van Eck, Falck, van Angelbeek) and Burghers are here. In the vicinity of the church there is the old Dutch belfry. 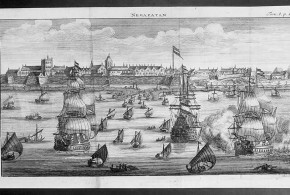 The residence of the Dutch Governors was in front of the Colombo harbour. This building was converted into a church (St. Peter’s Church) by the British in 1804. 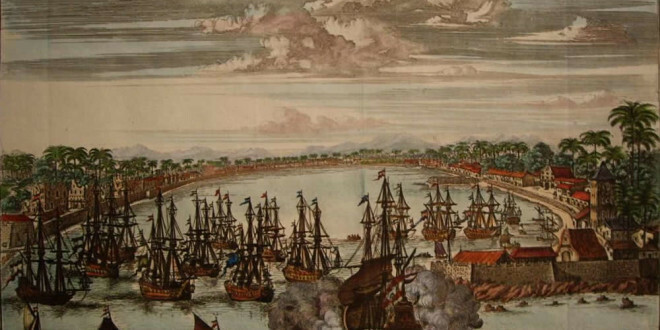 It was not till the Portuguese occupation that Galle rose to importance. They fortified it at the end of the XVIth century (around 1589) and called this fortress Santa Cruz, but notwithstanding this Galle was conquered by the Dutch on 13 March 1640. 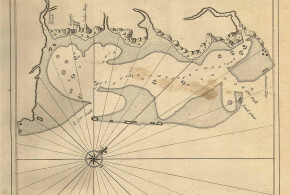 It was the principal port of the island under the Dutch. They greatly strengthened the fortifications. 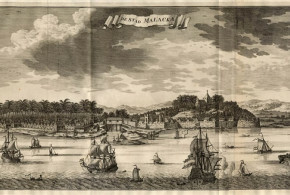 Galle was the capital of Dutch Ceylon from its conquest (1640) till the conquest of Colombo in 1656. The old Dutch Government House dates from 1687. It is the best preserved of the VOC fortress in Ceylon with beautiful ramparts, bastions and gateways. 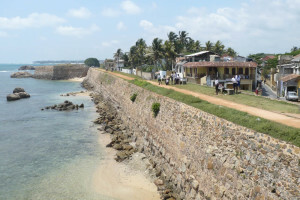 Galle is a fortified Dutch city. There are many old Dutch houses and a beautiful Dutch church dating from 1752-54 is still in use. Its walls are full of numerous tablets and family coats of arms. In this church are also interesting old tombstones to be found. 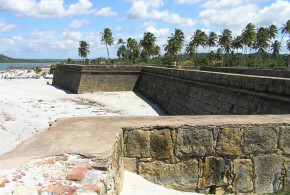 The fort was built by the Portuguese about 1550, but the actual fort was built by the Dutch, when they took Matara after the capture of Galle. The remains of the fort (a rampart and a gateway) are in a good state of preservation . Inside the fort there are several old Dutch houses and a church with gravestone on the floor dated from 1686. After the Matara rebellion in 1761-1762 a beautiful fort called redoubt “van Eck” was built on the right bank of the river in 1763-1765. 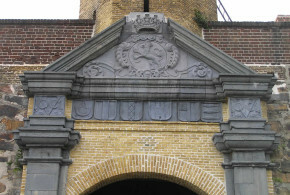 This fort is the unique star shaped fort in Ceylon, over the gate of the fort is the Dutch coat of arms. It’s still in good preservation. The fort was built by the Portuguese at the end of the XVIth century. 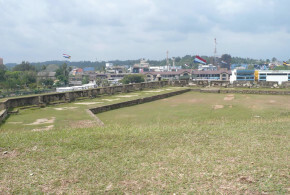 It was not a strong fort, but was important for the defense of Colombo. The Dutch took the fort by storm on 10 February 1640, but on 9 December 1640 the Portuguese succeeded in retaking it. 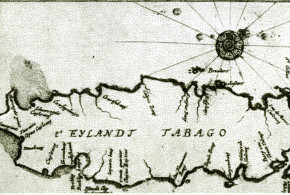 Negombo was finally in Dutch hands in January 1644. In February 1796 the British occupied it. There are some remains of the walls and an arched gateway of the fort. Opposite the fort is an ancient Dutch cemetery with 9 monuments of the Dutch period. The fort was built by the Portuguese and was conquered by the Dutch on 15 October 1655. 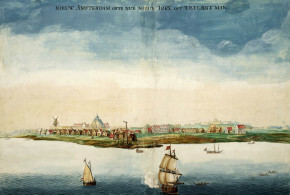 In 1677 the Dutch remodeled the fort and in February 1796 the fort was occupied by the British. There are a few remains of the walls of the fort. Here the Portuguese had a fortified base camp in the 1590s. Earthwork remains. Here the Portuguese had a fortified base camp. No remains. Here the Portuguese had for a few years a strategic fort and an outpost on the way to Kandy for a few years. No remains. Here the Portuguese had a fortified outpost. There is a little Portuguese church with a Portuguese stone slab on a wall. This fort was built before 1697. In 1761 it was destroyed by the Kandyans. It is now a beautiful restored fort. Here the Portuguese had a fortified base campm in the 1590s. No remains. In the years of the war with the Portuguese the Dutch erected a strong stockade fort here. No remains. Hanwella Fort plan A stockade was built here by the Portuguese at the end of the XVIth century. The Dutch built a strong fort at the end of the XVIIth century. It disappeared, but traces of the old moat of the fort are still to be seen. This fort was built by the Portuguese in 1595. It was a small fort on the top of a low hill; in 1675 the Dutch built a strong fort with four bastions on another hill north of the old Portuguese fort. In 1685 this fort was abandoned. Disappeared, only a few traces are visible. Here the Portuguese had a fortified base camp in the 1590s. In 1665 the Dutch built a wooden fort. It was abandoned by the Dutch a few years after its construction. 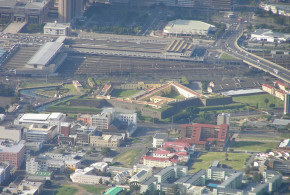 The actual fort was built with two bastions by the British in 1817. 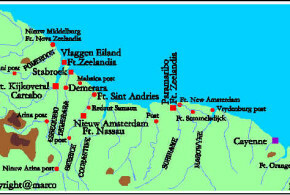 The Dutch also had military posts in these places for a short time. No remains. 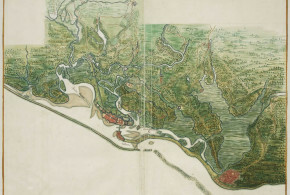 The Dutch waterways are by now fallen into disuse, but there is a project to restore them. 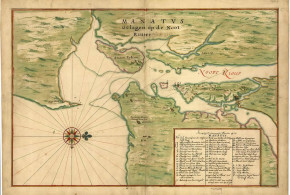 In the Dutch time they were very useful for the trade and connected Colombo to Negombo; Colombo to Kalutara; and Negombo to Chilaw, Puttalam and Kalpitiya. The Dutch also built canals in Galle, Matara and Batticaloa.